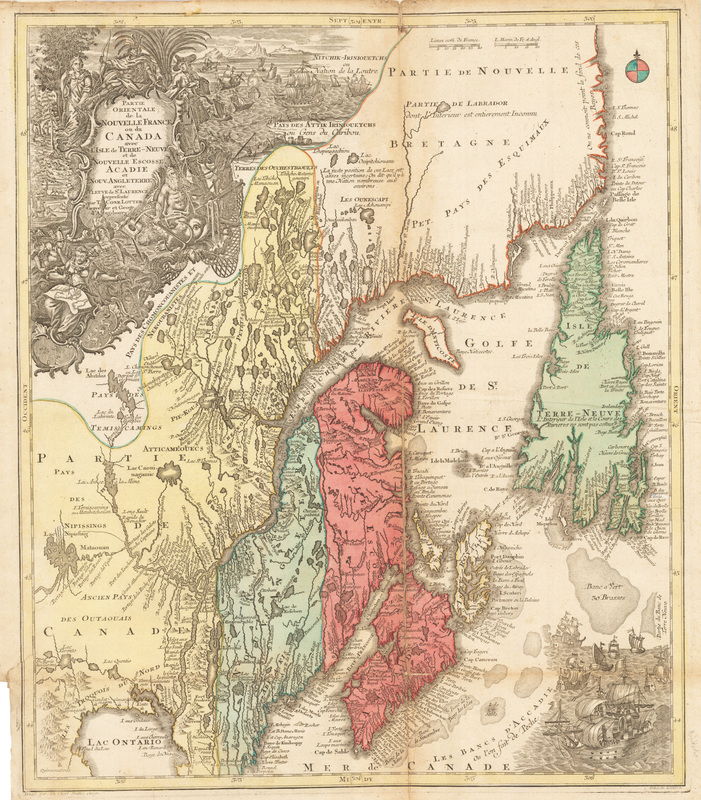 A fantastic decorative map of Northeastern Canada, including Nova Scotia, Labrador and Newfoundland shown with an stretched format that distorts the true shape of the land. Excellent detail is given along the coasts and inland river systems that include hundreds of place names, both Indian and European. An elaborate pictorial cartouche includes mariners, fishermen, hunters, Neptune, Mercury, a geographer with calipers in one hand and scales of justice in the other, an Indian in feather headdress, and a European trader. In the lower right corner is a scene of 7 European vessels fishing on the Grand Banks (Les Bancs d’Accadie). Condition: A couple of repaired tears around the lower left margin and a long separation along the centerfold are reinforced on the verso. 1528 La Gran citta de Temistitan.